The Blob had run out of places to put fake moustaches. Moustaches are a fad now. I do not understand but they are, and it’s hilarious. I see girls with moustache necklaces. What will these hipster kids come up with next?? 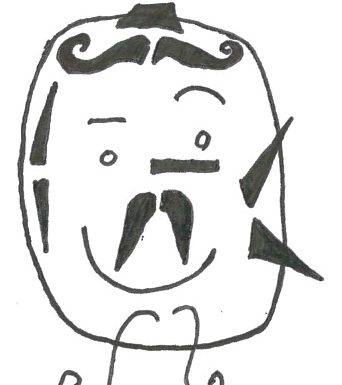 This entry was tagged Clothing, Facial hair, fads, Hipster, Moustache, moustaches, The Blob. Bookmark the permalink.